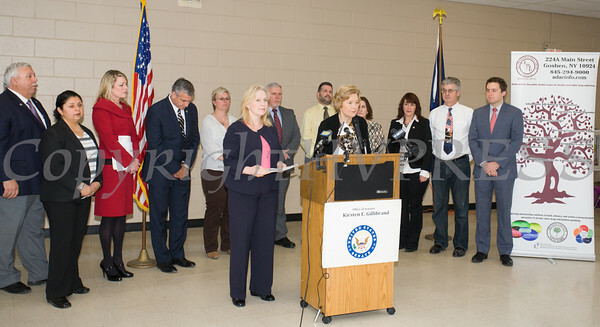 US Senator Kirsten Gillibrand introduces Preventing Overprescribing for Pain Act during a press conference in Newburgh, NY on Friday, March 11, 2016. City of Newburgh Mayor Judy Kennedy offers remarks as US Senator Kirsten Gillibrand introduces the Preventing Overprescribing for Pain Act in Newburgh, NY on Friday, March 11, 2016. Hudson Valley Press/CHUCK STEWART, JR.